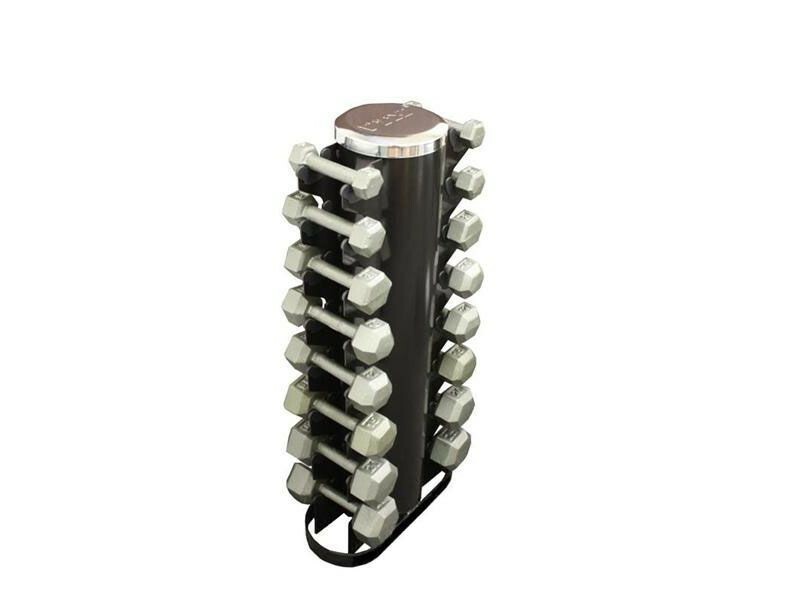 Includes the rack and 3-25lb pairs of dumbbells (3, 5, 8, 10, 12, 15, 20, 25lb). 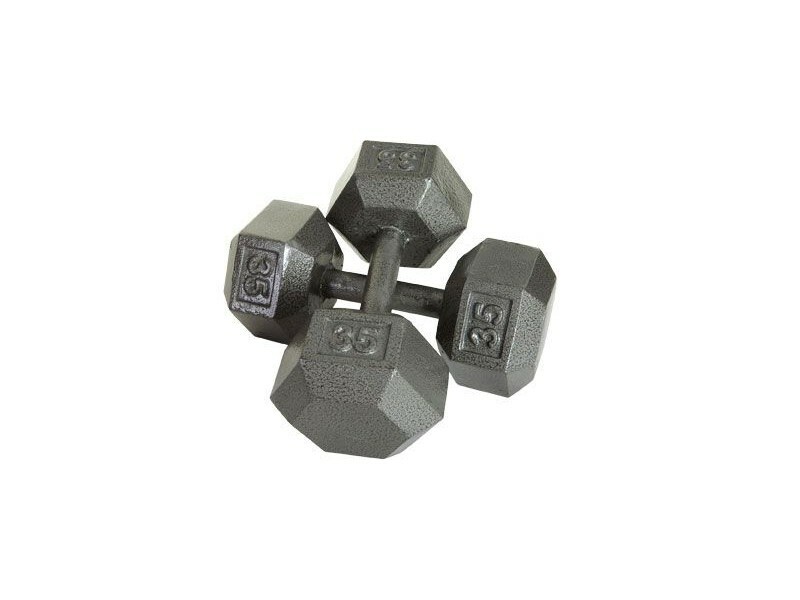 These economy hex dumbbells will work well for users who want the best value for the buck. Sizes up to 12lb are one-piece cast iron. 15lb and up have steel handles. The compact vertical dumbbell rack is designed to hold 8 pair of hex dumbbells ranging from 3 to 25 lbs. The user friendly design allows for easy access.